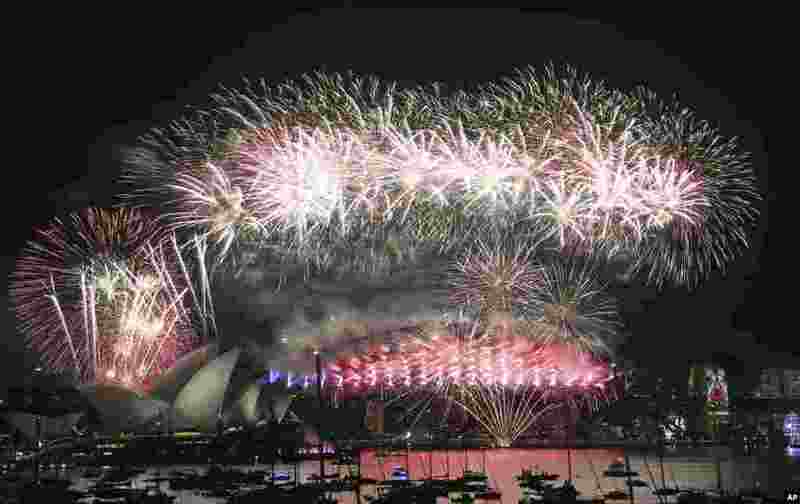 1 Fireworks explode over the Opera House and Harbour Bridge during a New Year's Eve fireworks display in Sydney, Australia. 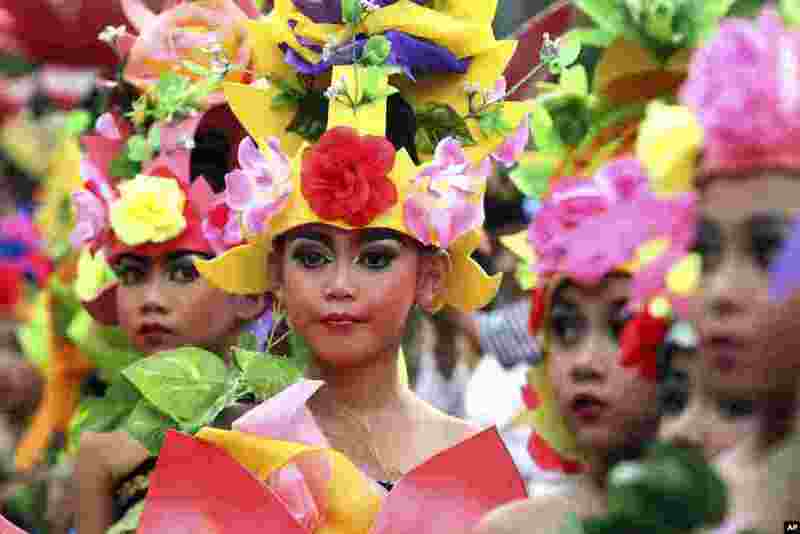 2 Indonesian children in costumes gather during a parade for this year's last sundown on Bali island. 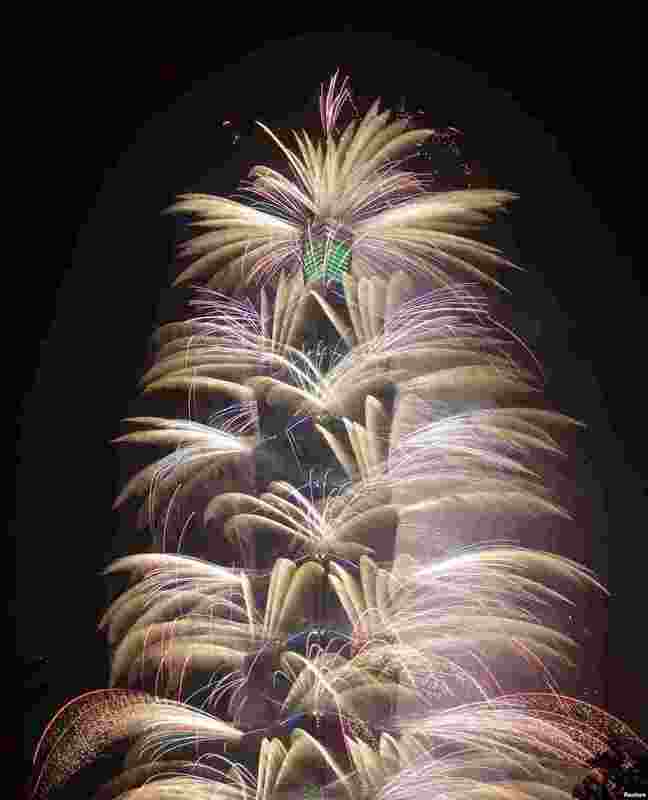 3 Fireworks explode from Taiwan's tallest skyscraper, the Taipei 101, during New Year's celebrations in Taipei. 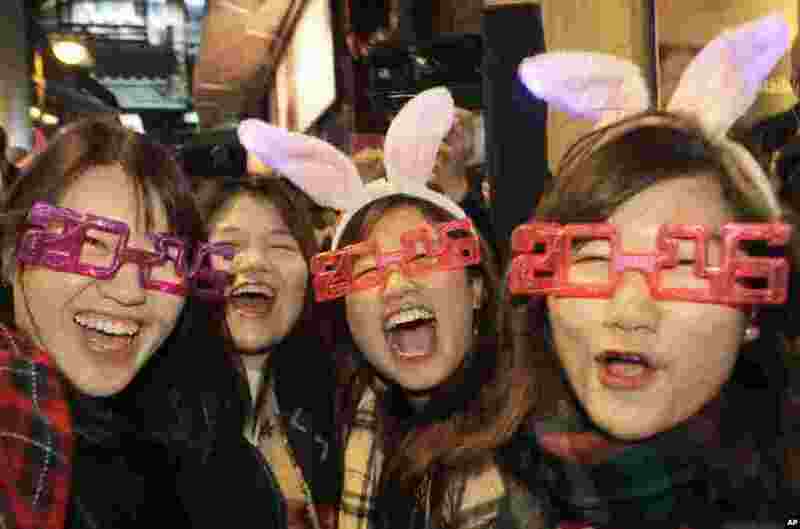 4 Revelers smile during the New Year's Eve celebrations in Hong Kong's Lan Kwai Fong.